The UK is backing a trade deal with Indonesia which risks habitat of orangutans. The CEPA (proposed EU trade deal with Indonesia) could open up the European market for palm oil, a major driver of deforestation in Indonesia. SOS wants to make sure the UK doesn’t import palm oil for biofuels post-Brexit. Following reports  that the UK government is supporting a European trade deal with Indonesia, known as CEPA, which would boost the import of palm oil, leading UK organisations working towards the conservation of Indonesia’s rainforests and wildlife are calling on Michael Gove, Secretary of State for Environment, Food and Rural Affairs, to ensure that the UK will support the EU phasing out of palm oil biofuels, and retain this commitment post-Brexit. The European parliament is currently considering measures to curb the import of palm oil for biofuels. MEPs have voted overwhelmingly to ban biofuels made from vegetable oils including palm oil by 2020, to prevent the EU’s renewable transport targets from inadvertently contributing to deforestation . Helen Buckland, Director of the Sumatran Orangutan Society (SOS), said “This is a commendable and necessary step from MEPs. The use of palm oil for biodiesel increased five-fold following the introduction of the target to source 10% of transport fuels from renewable sources by 2020. Scientific evidence shows that burning biofuels, including palm oil, can actually release more greenhouse gases than burning fossil fuels. In a joint letter to Gove, the coalition of environmental organisations, which includes Greenpeace, International Animal Rescue, Sumatran Orangutan Society, Elephant Family and Chester Zoo, ask for his “categorical assurance that the UK Government will not support any trade deal, either as a member of the European Union or unilaterally post-Brexit, that could lead to damage to rainforest habitat. 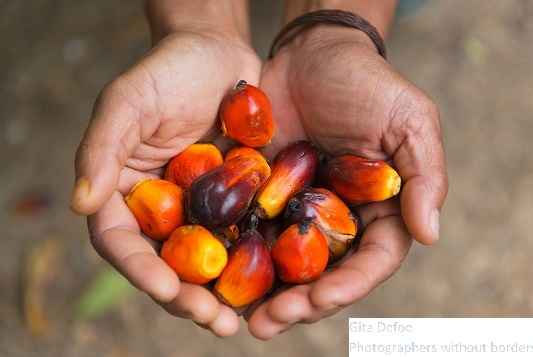 The UK has pledged to only import certified sustainable palm oil by 2020, but many believe that current sustainability standards fail to properly address some of the issues involved. These include the impact that converting forests to plantations has on communities and their food supply, as well as the impact on plants, animals and the climate.